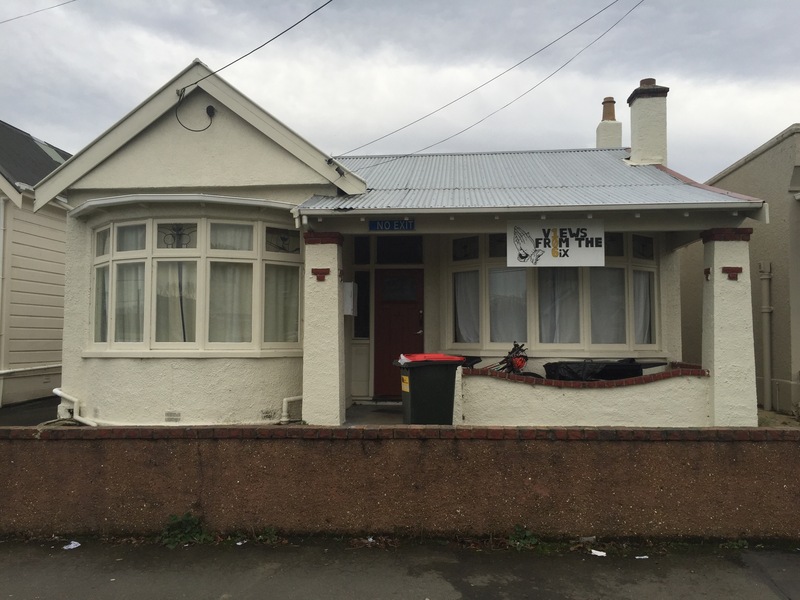 This flat is situated opposite Logan Park with a view of the sports grounds. The sign incorporates the street address and makes a couple of references to the work of Canadian rapper, Drake who’s 4th studio album, Views, was released on April 2016 through Young Money Entertainment. According to The Verge it was streamed over 250 million times in one week. The album entitled Views is also known as Views from the 6. “The 6” refers to Toronto and in his trailer for the album Drake refers to elements of his life in The 6, “… Best I ever had. Bad behaviour. Old crib, new crib. …” the album is a reflection on his identity and his relationship to that place. The name he uses has been widely embraced according to The Globe and Mail and as evidenced in regular use of the hashtag #the6 or #6ix on social media platforms. Why is Toronto known as The 6? One explanation for the nickname is the number 6 in Toronto’s area codes 416 and 647. An interesting fact from Pitchfork, Toronto as it is now known is made up of what were originally six smaller cities: Toronto, York, North York, East York, Etobicoke, and Scarborough. While the sign references The 6, it also displays an image of praying hands that feature on a previous album, If You’re Reading This It’s Too Late, the symbol continues to be used on his advertising, for example on tour posters. Many will be familiar with an emoji of praying hands. In celebrity culture and on reality TV we see a lot of praying hands as people give thanks or acknowledgement while intoning, “thank you SO much”. Interestingly this image, utilised by Drake in his advertising, is over 500 years old. The hands are a representation of Albrecht Dürer’s Studie zu den Händen eines Apostels, 1508, the relationship to Drake is unclear.